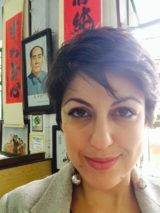 Sanaz Fotouhi is currently the director of Asia Pacific Writers and Translators. Born in Iran, she grew up across Asia and holds a PhD in English literature from the University of New South Wales. Her book The Literature of the Iranian Diaspora: Meaning and Identity since the Islamic Revolution was published in 2015 (I.B. Tauris). Her stories and creative fiction are a reflective of her multicultural background. 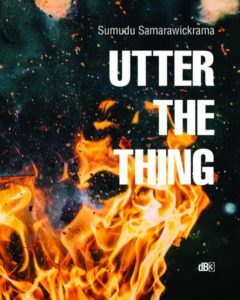 Her work has appeared in anthologies in Australia and Hong Kong, including Southerly, The Griffith Review, as well as in the Guardian UK and the Jakarta Post. Sanaz is one of the founding members of the Persian Film Festival in Australia as well as the co-producer of the multi-award winning documentary film, Love Marriage in Kabul. August 1997, one month after the historic handover from the British to the Chinese, as foreign businesses and banks were hustling to send their representatives back, we touched down in Hong Kong. We had left our relatively large unit in a complex of desolated chain-smoking coffee drinking Armenian exiles in Glendale, Los Angeles, packing up all that would one day become distant memory of America. We had gotten rid of the still grooveless and stainless sofas that we had not even had a chance to break into or stain with memories, and headed to a state that was now part of China.Tearfully I had broken this news to my then best friends. There was the Cuban beauty Rachelle. She refused to touch sugar and her skirt got shorter and shorter during the two years of high school as she kept rolling it on top, blaming her growing teenage legs when Sister Mary Jean, in her full habit, called her out on it; there was Grace, the Colombian. She lived in a zoo of a barely standing weatherboard house on top a hill with her dysfunctional family of a Catholic praying mother and drunk father. They cohabited with rabbits, cats, dogs, roosters, hamsters, and birds that flew and pooped everywhere in the house. There was the Armenian Maria who was constantly shamed for her overweight body. She lived on the last mansion on one of the long drives up the hill and used to compensate with stories of non-existent boyfriends. And the Filipino born Michelle. She escaped school from drive by shootings in her street and gang member brothers and friends, stinking of cigarettes in the morning, before we even said the first of the Marys. A Muslim-born Iranian girl, after two and half years in LA, I had managed to find solace in the friendship of these outcast and marginal American girls. Without any sort of legal rights in the country, I was beginning, more or less, by the virtue having built a community and immersing myself into the culture, to consider myself American. On the last days of Sophomore year on the grounds of the Holy Family High School, after we had finished our exam on the Bible, signing each other’s year books, my friends, some of whom didn’t and still do not have a passport, wondered about my parents’ sanity for accepting a posting in Hong Kong. ‘So, like why are you going back to Japan?’ Rachelle asked as we sat around exchanging and marking our memories on the back of each others’ books. ‘Totally not,’ I said eye rolling hands, gesturing Valley girl style. No matter how much I tried to explain that Japan and Hong Kong and China were not the same thing, they didn’t get it. But then I wasn’t very convincing. I wasn’t even sure if I got it myself. I had heard of what was to be some kind of a handover of Hong Kong to the Chinese government. Yet, to my sophomore brain preoccupied with other things, that meant nothing. And yea whatever, unadmitted, was also as much my teenage understanding of Hong Kong then and it formed my attitude towards it. Pre-google days, with dial up internet, my only source of information on Hong Kong had been the school library. The only book on 70s Hong Kong described it as a concrete jungle with faded photos of tall buildings and pirate style ships. After an ‘oh my God, we are going to crash into the buildings below,’ as the plane descended on Kai Tak airport in the middle of the crowded city, I landed in Hong Kong with yea whatever understanding of it. Unassuming, unexpecting. When the sliding doors opened and we stepped out, my glasses fogged up and it was like someone had opened a rice cooker mid-cook and I had voluntarily stuck my head in it and kept it there. It was stinky, humid, raining, sticky, hot, and crowded. If anything was worse than the moist entrance, it was the tiny shoe box of an apartment that my dad’s company had rented for us. The walk-in-closet in my LA room outsized, by far, the jigsaw puzzled space that was to be my bedroom. If I happened to leave my bag on the floor in the room, there was no space for the door to close smugly into the closet fitted right next to the bed framed at the bottom with a desk. And if feeling like an amphibian in the 99% humidity in a city that stank of dried seafood, and having to live in a shoe box as a room, was not enough to make me have a small bit of crisis, starting school gave me the last push into a tumble of identity crises. Adjusting from an American school system to the the British HSC style; going to a co-ed school for the first time; encountering the boy species; and saying goodbye to most of my new friends at the international school at the end of two years after they left for various universities in the US, UK and Australia, and then heading to predominately Chinese populated University of Hong Kong to study English literature, are minor and mostly painful details of life that followed. While not in full, I mention these here because they contributed in someway or another to my transition and of later understanding of what it means to be a Hong Konger in today’s transnational world. It took me three and half years to come to terms with calling Hong Kong home. It was a gradual process evolving through disdain, anger, loneliness, confusion, to tolerance, acceptance, liking, loving and then feeling more at home in Hong Kong than I did in Iran, or America. Yet, I remember the exact moment when I felt like a Hong Konger. By then I had moved into a tiny studio on Pokefield Road near the University with my best friend, Marina. She was a local Hong Kong girl, who had spent the majority of her life away and at international schools. We had become friends during university when we gravitated towards each other as the only people in our Spanish class who spoke English with an international school accent. From there we had met other confused souls around the campus who had found themselves, like us, stranded in a university that was meant to be English medium but which was often conditional in adapting that. By the end of the second year of university we had formed a group. We were the only bunch that could be heard speaking English at the campus café near the library, Oliver’s. While we all spoke in English, I was one of three in this group of fifteen or so, who was not local Chinese. There was really no need for me to learn Cantonese. However, by simply hanging out with my local friends, I had picked up a few words here and there and incorporated them into my everyday speech. On the day in question Marina and I were standing in line at Café de Coral, a very local fast food restaurant that serves Chinese food. While an English menu did exist, by now I knew exactly what I wanted and could even order it in Cantonese when I was alone. ‘What are you having?’ Marina asked so that she could order. ‘Char Siu Faan,’ I said. ‘Yum meiya?’ – What do you want to drink. She asked. ‘Ling Cha,’ I said – Lemon tea. ‘Dung m Dung a?’ –Cold? ‘Always Dung ah,’ I said. As I was listening to her, I saw that two blond girls were standing close by us and were trying to decipher the menu and overhearing our conversation, which I noticed, was probably not making any sense to anyone unless they had been localized in the diction and culture of Hong Kong. It was in that moment that I realized that I had actually become a Hong Konger. My immersion into the culture had been so gradual that I had missed the transition period and suddenly found myself transmuted on the other side as what my friends started calling, an egg – kind of white on the outside (or depending on where the eggs are from in my case olive) and yellow on the inside! My Chinese local friends, on the other side, referred to themselves as bananas – yellow on the outside and white on the inside. No matter which racially inappropriate metaphor we decided to imbibe, the truth was that together we were all Hong Kongers. The strange reality is that while I stopped feeling like an American as soon as I left LA, even almost a decade after not continuously living in Hong Kong, I still feel like a Hong Konger. Last time I was in Hong Kong it was a few months after the 20th anniversary of the Handover. During my absence a lot had happened. Hong Kong felt more Chinese in a way only locals can feel after a long absence. One of the most important changes had been the creeping of the Chinese government into the Hong Kong political system in ways that people had not anticipated. The ‘one country two systems’ had been a promise made by China at the time of the handover. It had meant that while still technically a Chinese state, Hong Kong was meant to have political autonomy. Individual rights and freedoms were enshrined in basic Hong Kong law. However, in 2014, the Chinese government declared that despite this independence the Chief Executive of Hong Kong was to be appointed by the Central People’s Government in Beijing. Tens of thousands of Hong Kongers took to the streets protesting. To guard themselves against police pepper spray people used their umbrellas as defence and the term Umbrella Movement quickly took on to describe the protests. As the result of the recent events Hong Kong people found themselves increasingly confronted by the Chinese government and to a push towards a sense of Chineseness that didn’t belong to them. You see, while the majority of Hong Kong locals are of Chinese descent and ethnicity, the years of British rule, and Hong Kong’s exposure to the West, has made Hong Kong Chinese culture significantly different to the mainland Chinese. This difference is a crucial point of Hong Kong politics of identity. Although essentially of Chinese ethnic background, the question of Chineseness of identity for many local Hong Kong people is debatable. In being back recently I found myself with a set of questions that stems from a similar origin. Yes, I feel like a Hong Konger but what does that even mean in the complicated terrain of identity politics and the larger Chinese question? Should I feel allegiances to any particular government, race or ethnicity to feel a sense of belonging in a place and construct my identity around it? This has certainly been true in my case. As I grappled to come to terms with Hong Kong and my relation to it, I made it mine. It doesn’t matter that I do not have a Chinese ethnic background. What matters is that I too collected twigs, constructed a home, and built a community from which I derived, in Xu Xi’s words, my sense of identity not out of national belonging or race, but of spatial belonging. And in this I am not alone. There is a large subculture of people who share the same understanding of Hong Kong: expats, diplomats, long term travellers, and those who are actively reclaiming and reconstructing their identities and also along with it the meaning of what it means to be a Hong Konger. And Hong Kong, because of its transient sensibilities of the expat community, offers the perfect space for that. There is a famous line from the colonial times of Hong Kong. To live in Hong Kong was being in ‘a borrowed place living on borrowed time.’ During the colonial times many expats knew that Hong Kong was a place that would eventually return to China and many of those who lived there never really planted roots of permanence. However, I feel that this statement still holds true, not in relation to its political standing but in other ways. Given Hong Kong’s transient nature, its fast paced lifestyle, continuously changing landscape, and the shifting nature of its population, it is hard to stipulate otherwise or expect anything that feels a sense of permanence in Hong Kong. But then again, in reflecting on the larger question of identity politics and our sense of belonging, this is a statement that is applicable to our global lives and sense of identity. Which one of us can claim permanent full undisputed ownership on the land, culture, society, and a sense of identity that we live by, or claim immortal existence? If you think about it, we are all living in a borrowed place on borrowed time. Yet our human desire to construct meaning of this fleeting existence by giving it a sense of permanence has driven us to construct imagined homelands and identities.